Series TYL Coalescence-separation oil purifier adopts advanced polymer fibre as the filter medium combined with the special oil-water separating device to make TYL is good at breaking emulsion and filtering. It can effectively separate water from oil. Series TYL can work online with turbine system for breaking emulsion and filtering, also it can separate particles and mass water from light oil. Series TYL works without heating and vacuum source, less power consumption, low operation cost. Series TYL use of trolley structure, light weight, easy operation. It is applicable for the filtration and dehydration system of turbine oil. It has two functions of good filtration and dehydration, which can effectively remove impurities, emulsified water and free water from oil. 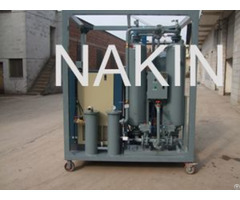 It can improve oil quality, reduce cost of reprocessing and pollution, and reduce cost of maintenance and operation. 1) filtration and dehydration function to remove emulsified water, free water and impurities. 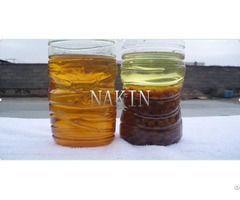 2) It can be used as oil filling machine only to remove impurities from oil. Its work theory: oil goes through specially made filter from outside to inside, by this direction, the hole of filter layer is smaller and smaller, different layer can prevent different size of impurities. This design improved lifetime and efficiency of filter. 3) There is inner circulation so that operator can replace coalescence and separation filter. Business Description: Chongqing Assen Power Equipment Co., Ltd which develops and implements of industrial equipment for reclamation, purification, drying and degassing of transformer, turbine, industrial and other oils, reclamation of all kinds of mineral oils with restoration of color and operational specifications. Oil reclamation involves new technologies in energy sector and industry in general. The equipment is in compliance with all relevant international standards. All products certified accordingly. Quality control complies with ISO 9001: 2001 and CE. Our Product: Double Stage Transformer Oil Purification system, Vacuum Lubricating Oil Purification, Vacuum Turbine Oil Conditioner, Portable Oil Purifier, Singe Stage Insulating Oil Purifier, oil reconditioning system , Water Oil Separator, Light fuel Oil Purifier, and Fully-auto Dielectric Oil Tester, Turn ratio Tester, Acid Tester, Moisture Detector, Interfacial Tension Tester, etc. Our Service: special filter technology consulting and solutions sector; fast after-sale service feedback system, well-trained service engineer; hands-on training and large-scale equipments operation myrmidon; regularly visit system, CRM customer relationship management system; rapid Filter wearing parts and spare parts supply system.